Let me guess—once again, you’ve forgotten all about the clothes you put in the washer, and they are still sitting in there right now? We all know something about that, right? Laundry is always piling up, even with the best washer and dryer, and clean wet clothes are always falling to the floor during the switch from the washer to the dryer. Have you ever wondered what it would be like to have a two-in-one washing and drying machine that does the whole cycle for you, with no switch necessary? With one single machine, imposing a single step process for 2-in-1 automatic washing and drying, you’ll never have to re-wash those damp, mildewing, forgotten about clothes from yesterday, ever again! Not to mention you’ll be saving so much precious time and energy, as well as space, with the update of one brand new machine from two old ones! So let’s go modern, and look into the very best washer and dryer machines assembled this year! 0.1.1 What Is a Washer Dryer Machine? 0.1.2 What Does a Washer Dryer Do? 0.1.3 How Does a Washer Dryer Work? 0.1.4 Where Can You Buy the Best Washer and Dryer? What Is a Washer Dryer Machine? A washer dryer is a 2-in-1 individual electric machine for washing and drying articles of clothing. A washer and dryer put together as one! What Does a Washer Dryer Do? The washer dryer is designedto automatically wash the clothes then dry them, all in a single-step process. All you have to do is pop in the clothes and the laundry detergent, and the washer dryer takes on the rest until the job is finished! How Does a Washer Dryer Work? Where Can You Buy the Best Washer and Dryer? You can purchase washer dryers online, via amazon, Bestbuy.com, or other websites. You can also find them at appliance stores such as Best Buy, Home Depot, or Lowe’s. The following products were reviewed based on the following parameters; Features, Pros & Cons, Price, and Where to Buy. 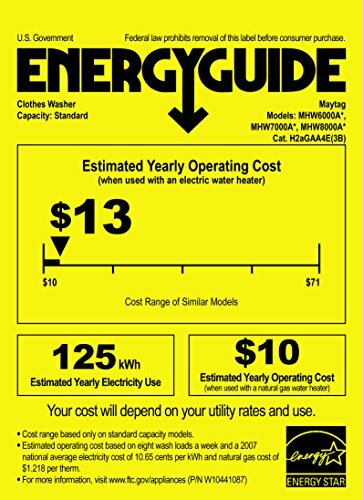 The overall price range of the best washer and dryer machines vary from around $600 to around $1,900. Prices vary among different models and features. Higher priced washer dryers have features like a larger capacity, child lock, delayed-start setting, digital display, vaster range of temperatures, and better energy efficiency than those of lower-priced washer dryers. 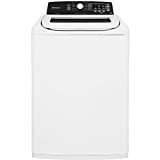 Dimensions (WHD): 27" X 43 5/16" X 28 1/8"
This Kenmore top load deep washer includes the ability to adapt to any sized load, StainBoost to blast away all types of stains, ‘Kenmore Triple Action Impeller’ to get your clothes clean x3, and a ‘Deep Fill’ for the bigger, bulkier loads. Its stainless steel tub combined with the triple action impeller promotes a powerful and effective cleaning performance. This product can be found on Amazon for around $$. 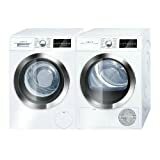 This Bosch 800 Series White Front Load Compact Laundry Pair of Washer and Electric Condensation Dryer includes an AquaShield feature for water leak protection, ActiveWater Technology, a SpeedPerfection provides up to 40% faster washing time, 15 different wash cycles, a stainless steel drum, and a large LED digital display. This pair can be found on Amazon for around $$$. Gas dryer requires gas supply line and 110V grounded electrical outlet. Please confirm that you've selected the correct fuel type before completing purchase. Comes with Standard rear venting. This dryer includes SmartDry Ultra Technology; a four-point sensing system, including two moisture sensors, for automatically adjusted cycling time, as well as a temperature monitor. The spacious size shape and height allows clothing to open up more for greater tumbling and more thorough drying. No access to external venting? No problem. LG's all-in-one washer/dryers use ventless condensing to dry your clothes without the need for external venting. Dryer times will run about 120 minutes. Plugs into 110 Volt, hot and cold water, needs a drain. Expand the limits of your laundry room! A Ventless Drying System with 5 cycles allowing fabrics to dry anywhere with electricity and a water connection (no external venting needed), and Steam Technology powerfully but gently permeates fabrics to wipe out dirt and odors and reduce wrinkles for a great cleaning performance. This product can be found on Amazon for around $$$. LG WM3997HWA Ventless 4.3 Cu. Ft. Capacity Steam Washer/Dryer Combination with TurboWash, TrueBalance Anti-Vibration System, NeveRust Stainless Steel Drum, Allergiene Cycle in White. 2.6 Cubic Foot Capacity, Stainless Steel Inner Drum. NOTE: Kindly Refer the user manual before usage of the product. This unit can be wall-mounted or placed on countertops, making it ideal for dorms, RVs, and small apartments. It uses a standard 110-Volt (120 VAC, 15 Amp) outlet, has 3 temperature settings providing proper fabric care options, features an ECO Mode and Sensor Dry Selector, and provides energy efficiency by monitoring the moisture and humidity levels and automatically adjusting the heat for better drying performance. This product can be found on Amazon for around $. This unit has an LED digital display panel that’s easy to use and shows a lighted cycle status, a see-through transparent top lid, 5-cycle options for your precise laundry wash fabric type needs (Heavy, Gentle, Normal, Rapid and Soak), connects to your kitchen faucet with the drain hose included, and has a quick-connect sink adapter. The PowerWash cycle combines extra cleaning action and heated water to fight stains, while the Cold Wash cycle delivers the same performance but with added energy savings. The Overnight Wash & Dry cycle allows clothes to be ready the next morning. Fully designed, engineered, and assembled in the U.S.A. This set can be found on Amazon for around $$$. This unit has Quick Dry for drying even extra-large loads quickly and efficiently, Ready Steam to reduce wrinkles by using steam during drying (Ready Steam can be added to any cycle), a One-Touch Wrinkle Release System that prevents wrinkles and finishes by tumbling without heat, a Large Dryer Capacity that completes more laundry in less time with a 7.0 Cu. Ft. capacity, and a Balanced Dry System dries clothes evenly. Key features of this product include a Diamond drum design to extend clothing life by permeating fabrics gently during cycles, a direct drive motor, a 1200 RPM maximum spin speed, 8 various wash cycles for almost any cleaning need, Vibration Reduction Technology for quiet cycling, a door lock to keep the cycle from being interrupted, 4 Temperature Settings (Hot, Warm, Eco Warm, Cold), 4 Spin settings (High, Medium, Low, No Spin), 3 Soil Settings (Heavy, Normal, Light), and a one-year warranty for parts and labor. This product can be found on homedepot.com for around $$. Item includes room of choice delivery, unboxing, item hook-up (including required parts) and free optional haul-away at checkout. Designed for narrow spaces with a large 7.4 cu. ft. capacity. Pull-down glass hamper-style door keeps clothes from falling on the floor when loading. SmartDry Plus technology measures the moisture levels to adjust cycle time and heat, preventing over-drying and additional wear-and-tear on fabrics. Wrinkle Guard periodically tumbles clothes after the cycle ends to keep wrinkles from setting in when extra time is needed to unload. Comes with Standard rear venting. A Wrinkle Guard option tumbles loads periodically to prevent set-in wrinkles for up to 150 minutes after the dry cycle, and Auto Dry uses an integrated thermostat to monitor and control drying temperature and moisture. The drop-down door serves as a convenient quick resting spot and makes it easier to sort laundry in and out, while SmartDry Plus technology uses 2 moisture sensors and a temperature sensor for an adjusted drying cycle. So there you have it: the best washer and dryer machines of this year. Whether it’s a separate machine, a pair, or a 2-in-1 combination, the machines of this list are all modern, attractive, and highly efficient. 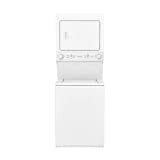 The best washer and dryer set would be the Maytag pair, which has the best-rated dryer in the industry. 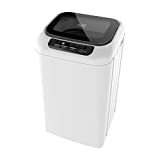 However, if you’re traveling or going to college and have limited space, the portable washing machine would be a phenomenal choice because it’s easy to store and maneuver and connects right to the sink faucet! Considering the vast variety of features and prices listed in this article, you can be sure to find the best washer and dryer suitable to your personal preferences and budget. Subscribe to our mailing list and get FREE repair manuals plus tips to fix your applaince.